He recently revealed that his new girlfriend Georgina Mullins has been a 'game changer' for him romantically. 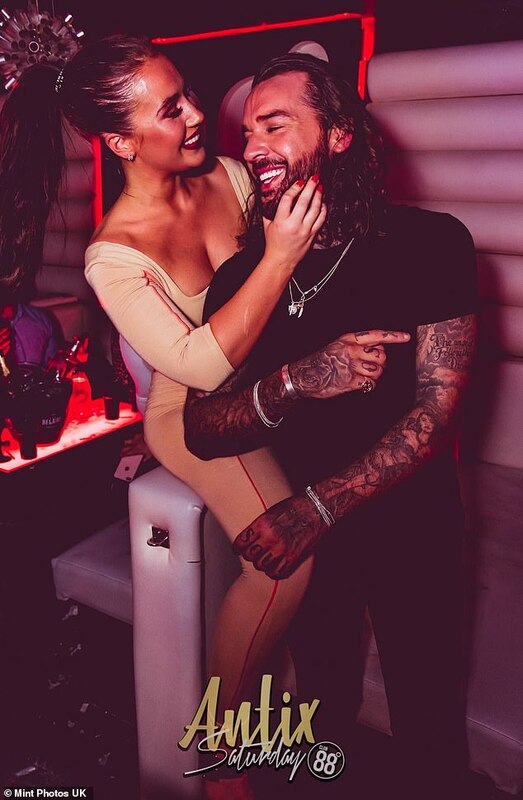 And Pete Wicks certainly seemed smitten with his new love as they packed on the PDA during a club appearance in Croydon on Saturday. 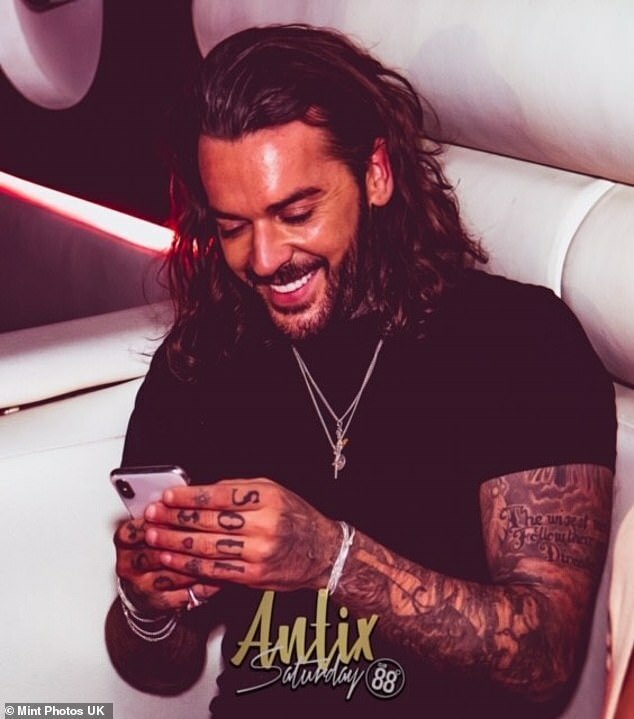 The TOWIE star, 30, couldn't keep his hands off the glamorous mother-of-one as they enjoyed a night in the VIP section of the club. Dressed to impress, Georgina donned a fitted camel jumpsuit that showcased her stunning curves and ample cleavage. Pete kept things in his typical casual style, donning a plain black T-shirt and jeans. The Celebrity Island star previously dated fellow TOWIE stars Megan McKenna and Shelby Tribble, but both ended in explosive rows. However, it seems Pete might finally be ready to commit since he has declared that Georgina is unlike 'anyone I have dated before'. Speaking about his new relationship to The Sun, Pete said: 'I've met someone recently who has been a bit of a game changer.